CERT team shirts, ID’s, caps and vest. CERT bag and personal go bag with basic first aid gear. Personal or team hand-helds to coordinate roving teams and any medical support. Will have CERT canopy, display board, table and some hand-outs. We can put to use your new kid safe signs at this event. There will be normal walkaton, plus a 5K Race, and tons of vendors. 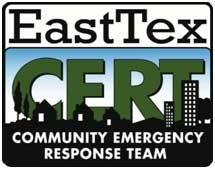 We will have booth for CERT information, kid safe zone for missing kids, roving medical and on site medical support. Great chance for all those team members from Hunt county and Greenville to take part and be seen by their neighbors and friends as well. Time needs could grow if event organizers have other needs for our special support.